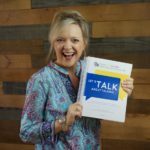 “Teach Me To Talk with Apraxia and Phonological Disorders” on DVD is an excellent resource for parents and professionals working with toddlers with speech delays/disorders. Apraxia and phonological disorders are among the most common speech disorders diagnosed in young children. These diagnoses can be difficult for parents to understand. In this comprehensive 2 DVD set, you’ll learn the diagnostic characteristics and view many examples of young children with motor planning difficulties and speech sound disorder during real therapy sessions. More importantly, you’ll learn how you can help your child at home. Like my previous DVDs, the focus for Teach Me To Talk with Apraxia and Phonological Disorders is on INTERVENTION. You’ll SEE demonstrations and explanations of the latest techniques experts recommend to help non-verbal toddlers first learn to imitate sounds and then begin to use words, phrases, and sentences. 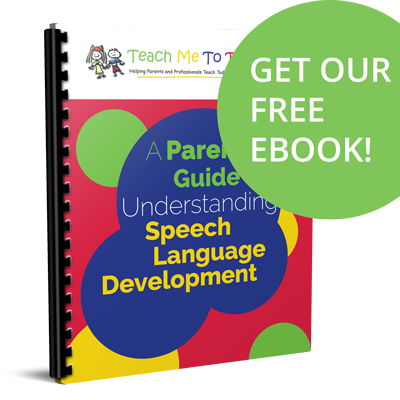 If you’re having difficulty understanding what your young child is saying to you, this 3 hour DVD set will teach you step-by-step techniques to help your child learn to use speech you can understand. This will be invaluable information for parents with children who have been newly diagnosed with a speech delay or disorder including apraxia and phonological disorders. 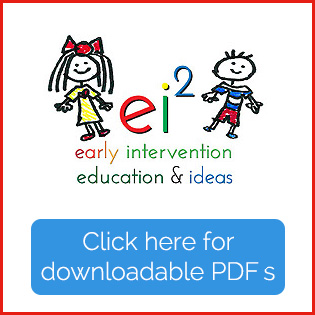 This set will also be a great resource for any pediatric speech-language pathologist or developmental therapist providing early intervention services. You’ll see techniques used with a variety of toddlers and young preschoolers. Many clinicians use my DVDs as a resource for parent education and as a training tool for grad students and CFYs. If you’re working with very young children, this set will be a welcomed reference for your practice. Throughout the 2 DVD set, I’ll share my recommendations for the resources I use for treating children with apraxia and phonological disorders. You’ll also learn what DOESN’T work and isn’t recommended for working with young children with speech sound disorders. This set is HIGHLY recommended by both parents and professionals. Order your copy today! If this is your initial visit to teachmetotalk.com or your child is newly diagnosed and just beginning therapy, it’s a good idea to implement a play-based approach to target expressive language. The DVD Teach Me To Talk is an ideal initial resource for parents in this situation. To save $$ and bundle Teach Me To Talk with Teach Me To Talk with Apraxia and Phonological Disorder, click here. For even more treatment ideas and an extremely comprehensive treatment approach to use at home or in therapy sessions, order this DVD along with my book Building Verbal Imitation in Toddlers and my initial DVD Teach Me To Talk. This set is called the Apraxia Resource Set and can be ordered here.